Minnesota T-Shirt Quilts keep your memories wrapped around you! We know how much your t-shirts mean to you and we take special care of them from start to finish. Attention to detail and customer satisfaction are our top priorities. 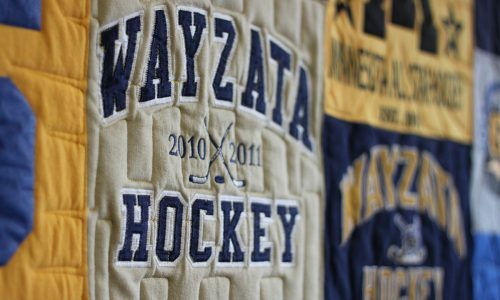 T-shirts, a loved one's clothing, your child's precious outfits and even hockey jerseys - any washable fabric can be transformed into a quilted keepsake. The quilt is awesome! Thank you for the attention to detail and the excellent workmanship. The quilt will be a keepsake in my family for decades. Thank you for making my day!